How brave are you, really? ’Tis the season for scary movies, but beyond the pure spectator sports of film and television lies a world of horror gaming on the PC. Now is the perfect time to wade in and get your freak on. Everyone scares a little differently. 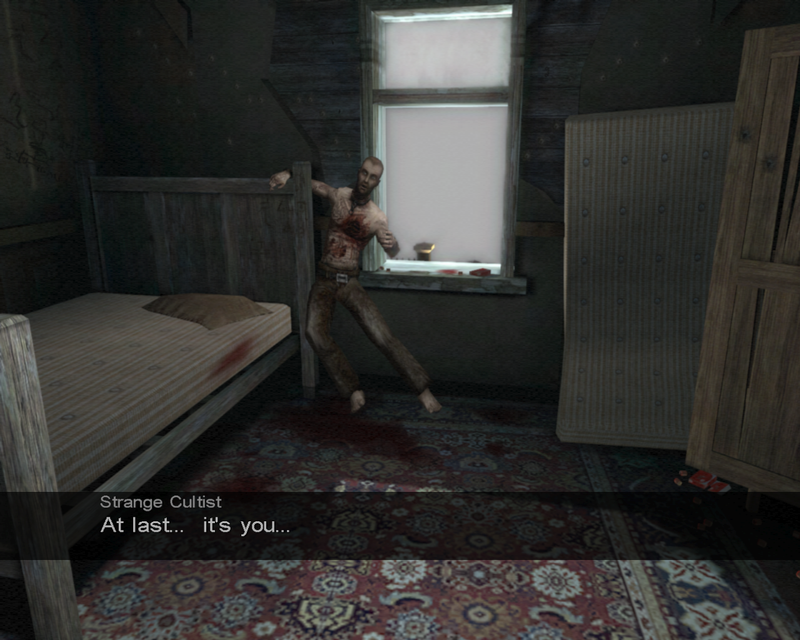 Most horror games stick by a few time-tested styles of design that have become the hallmarks of the genre. We’ve thrown the best of ’em on the table, cut them up, and taken a closer look at what makes them kick. Action-heavy horror games dominate the market these days, with first- and third-person shooters taking top spots in both sales and critical acclaim. Games like Bioshock are easy to play, with control schemes that feel comfortable to practiced gamers, and mysterious settings that inspire fear and wonder in equal measure. 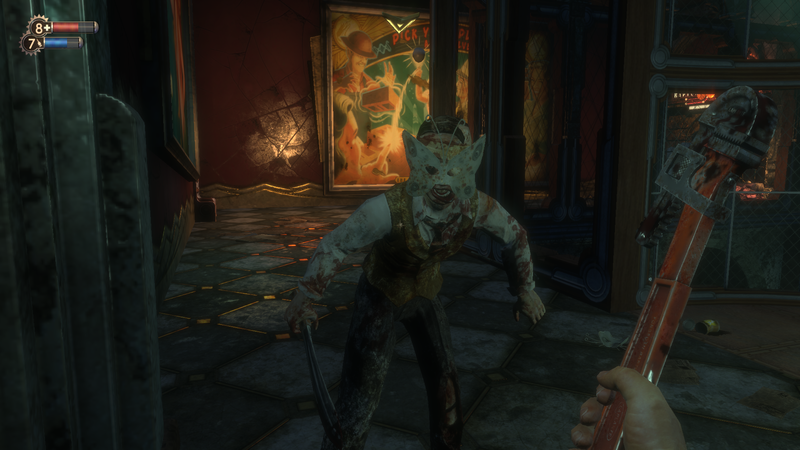 Bioshock won critical acclaim for its narrative and combat systems, but it’s also a damn spooky experience when you play in the dark with your headphones on. This is also where the drawbacks creep in: First- and third-person action games are designed to entertain players with slick combat, so most of the satisfaction stems from actually fighting back against the darkness. This boils down to using guns and clubs a lot, which is fine at the outset but usually spirals out of control in later acts, when baseball bats and scavenged pistols give way to chainsaws and rocket launchers. When a horror game hits that point, you become the most dangerous element in the game, and whatever fear of the environment and enemies you face evaporates. Even the best action horror titles don’t escape these problems, but they can minimize them via careful design decisions. Players who prefer the third-person perspective have a variety of terrifying games available. The Dead Space games—especially the second one, with its unforgettable opening sequence—are particularly adept at mixing scares and exotic weaponry without breaking your immersion. 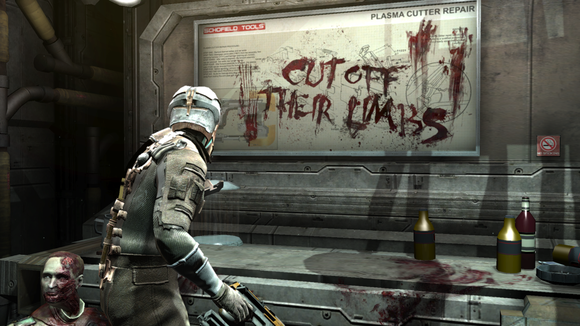 Dead Space is an action-heavy game, but you rarely feel like a badass so much as a terrified blue-collar space worker. Steeping the player in a futuristic story that’s equal parts Alien and The Thing, Dead Space goes beyond run-and-gun action with dismemberment-based takedowns, equipment-upgrade systems, and cybernetic modules that allow you to slow time and telekinetically manipulate objects. For third-person horror gaming a bit closer to earth, there’s Alan Wake, which delivers a television-esque, episodic experience heavy on psychological and ghostly story elements inspired by The Shining and The Twilight Zone. 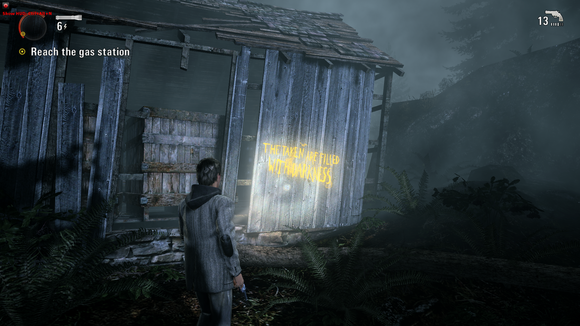 Alan Wake is all about ‘Twin Peaks’-esque uncanny horror in a sleepy mountain town. You play Alan Wake, an author suffering from writer’s block who’s vacationing in the peculiar town of Bright Falls, where a malevolent force has begun to corrupt the locals. Wake’s third-person gunplay is broken up by the need for you to use your flashlight to strip away the darkness that both cloaks and protects your supernatural foes. The game also asks you to collect the pages of a book you have written but do not remember. Each page provides clues and a backstory. I prefer third-person horror games, but first-person shooters have a longer track record of tackling horror. If you’re willing to dig into the back catalog a bit, check out System Shock 2, the cyberpunk thriller that blazed a trail for subsequent first- and third-person games. The smorgasbord of psionic powers, puzzling mini-games, vending machine upgrades, and audio logs went on to become the de facto diet of the genre, and every action game on this list owes it a design debt. If you haven’t played System Shock 2 yet, drop whatever you’re doing—including this article—and go play it. 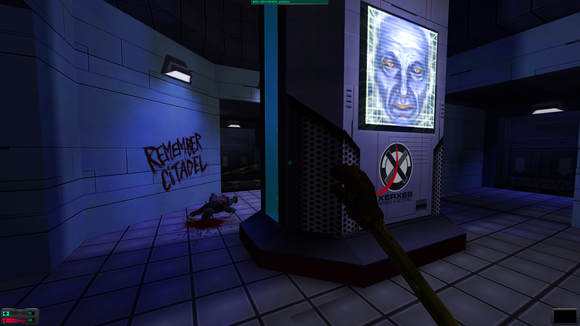 System Shock 2 is well loved by the PC gaming community. Many mods exist to help its now-primitive visuals, including stable high-resolution support, upgraded textures, and post-processing effects. Ken Levine, the man behind System Shock, went on to create the afore-mentioned Bioshock, a spiritual successor about a fallen 1960’s underwater utopia that deemphasizes the horror elements and doubles down on the gunplay. FPS horror games had already shifted toward more action-oriented themes and mechanics when Bioshock was released. Monolith’s F.E.A.R., Clive Barker’s Undying, and Headfirst’s Call of Cthulhu: Dark Corners of the Earth are all strong games that emphasize action but offer a welcome diversion from standard FPS shoot-and-scoot themes. Call of Cthulhu: Dark Corners of the Earth is worth a go if you’re interested in exploring Lovecraftian horror in first-person. F.E.A.R. is the best of the three, as it runs smoothly and remains the most fun to play. Lovecraft fans should check out Dark Corners of the Earth, as it captures the spirit of the Cthultu mythos well. Running it on modern machines is tricky, so be sure to check out the unofficial patch and other mods to maximize your chances for a smooth play-through.